Rock Climbing: The AMGA Single Pitch Manual by Bob Gaines and Jason D. Martin is a textbook for the participants in the American Mountain Guide Association’s Single Pitch Instructor program. This book is intended to teach climbing guides their craft but more advanced recreational climbers will also find it useful, particularly if they intend to climb with those who are more inexperienced. One great thing about this book is the detailed pictures and illustrations. For example, the chapter on knots and hitches provides lots of easy to understand pictures of the knots that are taught. 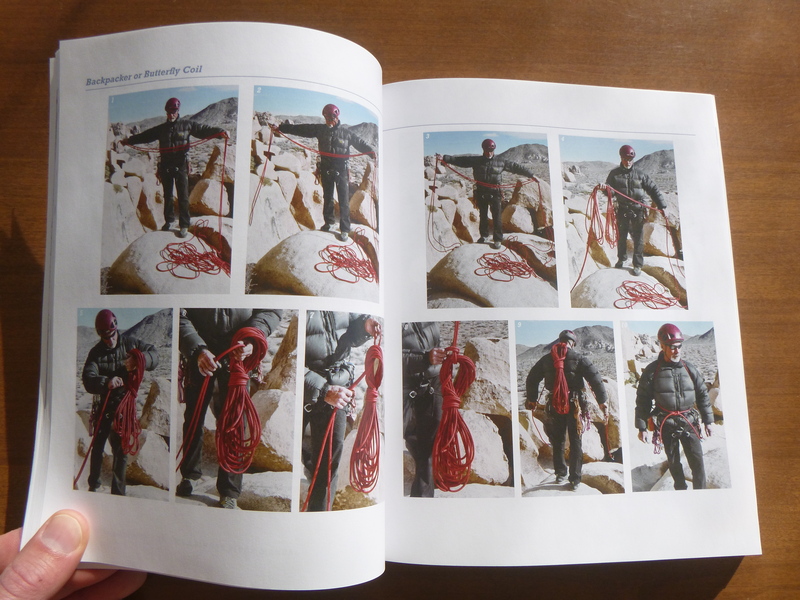 As another example of the detail in the book, the backpacker coil (where the rope is organized into a backpack for easy carrying) is shown step by step in the chapter on equipment. This book is required reading for the aspiring climbing guide. If you are planning to become a guide or think you might be interested in guiding this book will give you a lot of detailed information about the skills required for the job. Those who aren’t interested in becoming a guide but who want to take friends climbing will also benefit. This book is primarily intended for those who are just getting started in the AMGA‘s training program to become certified as a guide. 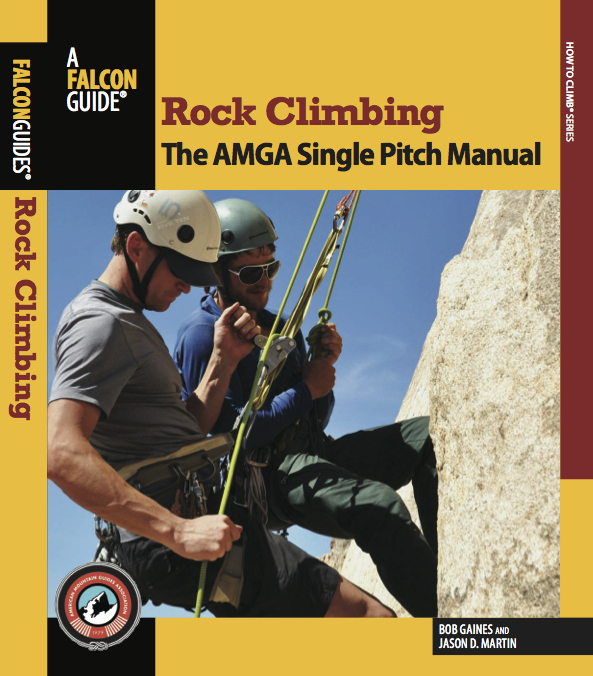 The AMGA Single Pitch Instructor certification is the most basic of three levels in the AMGA’s Rock certification series. The other two are Rock Instructor (more extensive training) and Rock Guide (can guide remote climbs, big wall climbs, and/or aid climbs). What is a “Single Pitch” Anyway? A single pitch means that the route is about a rope length long. Modern ropes range from 50 to 80 meters so the climbing route will be no longer than that and shorter if top roping. Some of the chapters in the book apply to all climbers while others will mostly be useful to guides. For example, the chapter titled Pedagogy: The Art of Teaching has some points that a recreational climber may find helpful but is really intended for guides who will be working with clients who have never before climbed. Similarly, some topics like creating a lesson plan are not very relevant to the recreational climber. 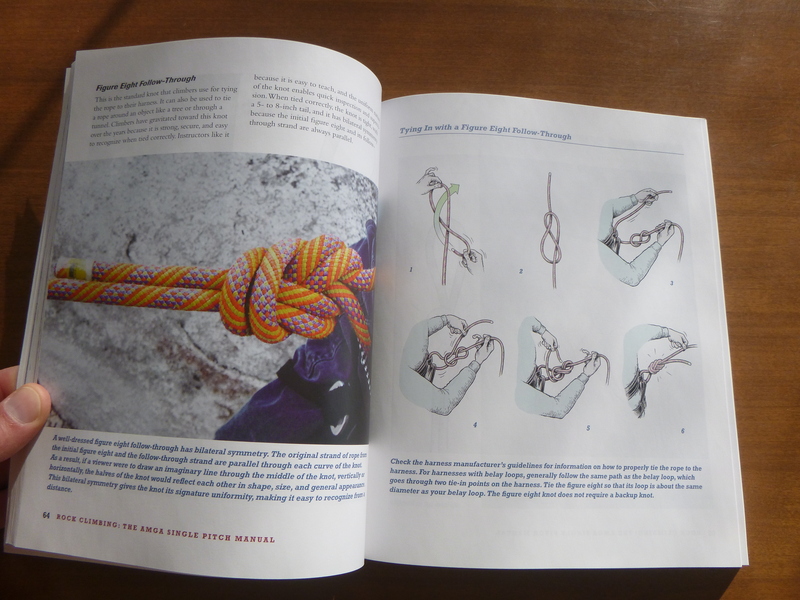 While there is a lot of information in the book about climbing anchors, the book Climbing Anchors by John Long and Bob Gaines (one of the authors of Climbing: The AMGA Single Pitch Manual) provides a lot more detail if you are interested in that topic. BasicRockClimbing has a review of Climbing Anchors. 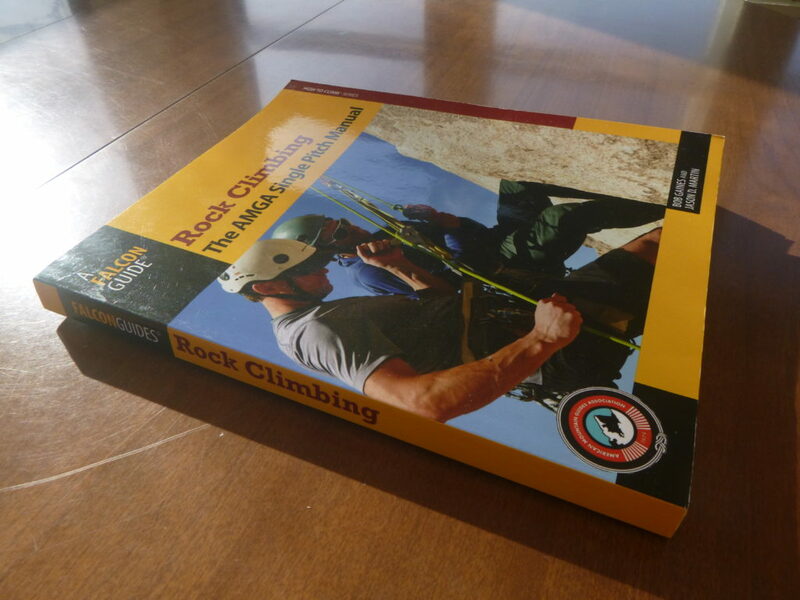 In short, if you are thinking about becoming a guide or just want to learn guiding skills, check out Rock Climbing: The AMGA Single Pitch Manual.